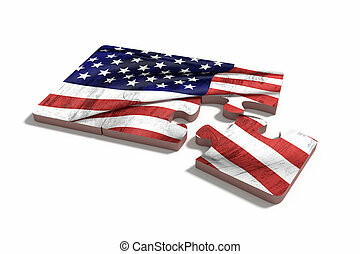 American flag jigsaw. 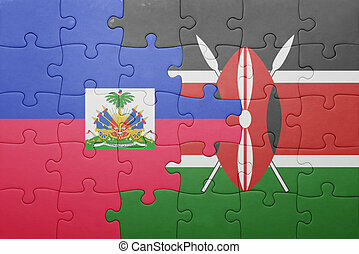 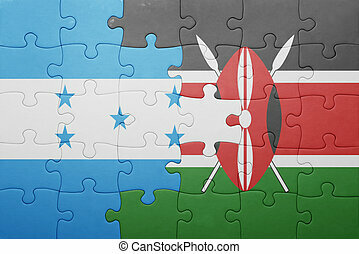 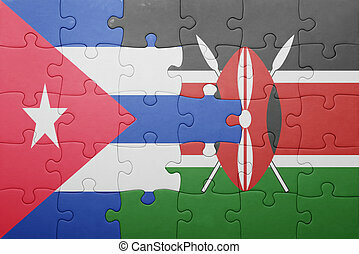 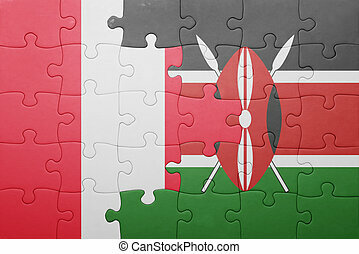 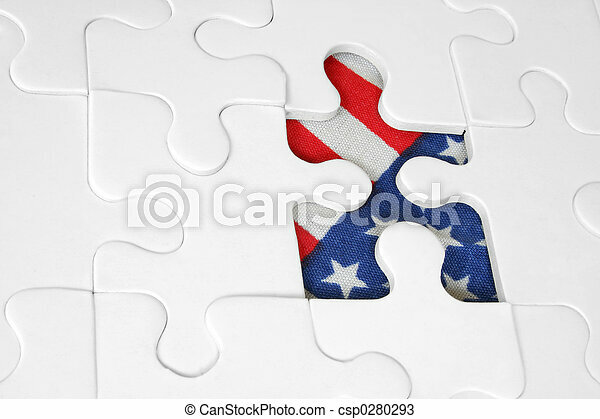 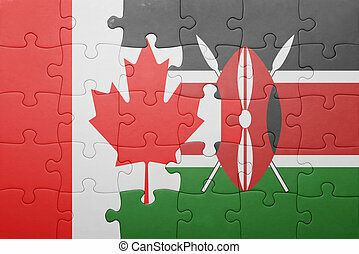 Jigsaw with american flag showing through missing piece. 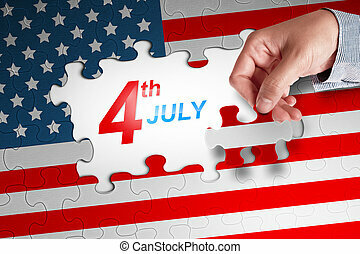 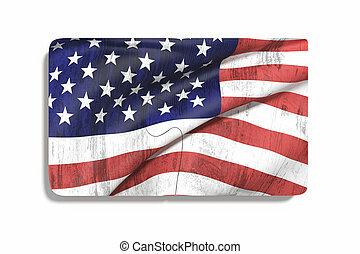 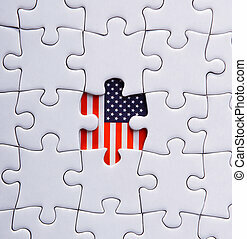 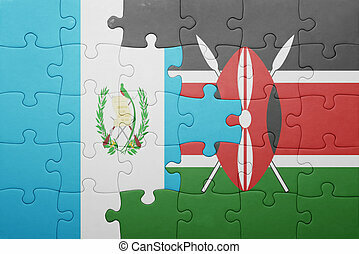 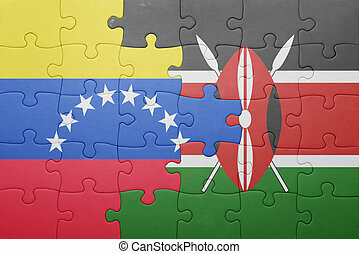 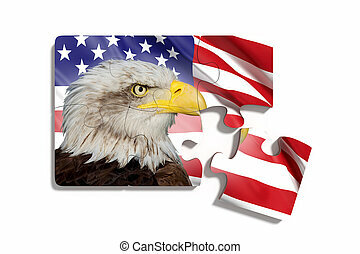 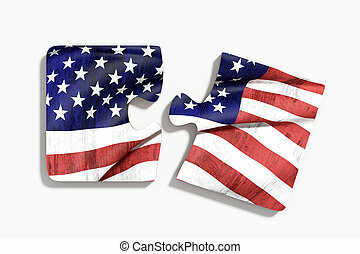 3d rendering of puzzle pieces with Eagle against of waving American flag on white background.Isolated. 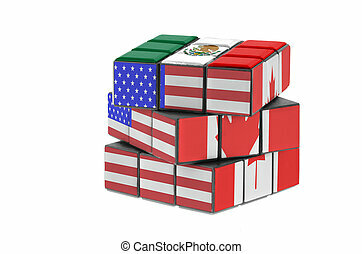 North American Free Trade Agreement. 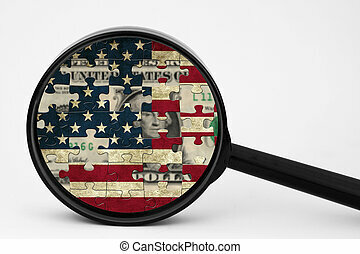 Economic puzzle concept.